How to open a AutoCAD drawing? 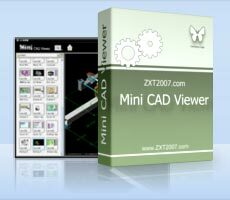 Mini CAD Viewer is a compact free CAD Viewer that is designed to be easy to use, even for those with no prior CAD experience. Mini CAD Viewer supports DWG, DWF and DXF formats, and drawing files can be printed. A compact free DWG Viewer and DXF Viewer. Mini CAD Viewer is very light and easy to use. Double-click on the DWG or DXF file to preview. Drawing files can be printed.